The Brisbane International Hotel Virginia provides families, business and leisure travellers with a range of hotel rooms that have been well appointed to cater for your every needs. 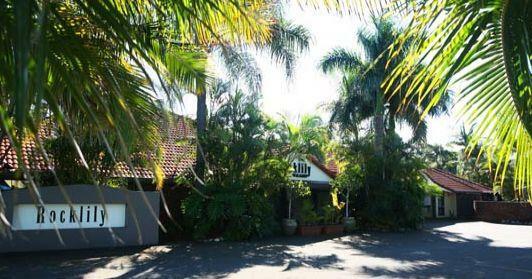 The property is located on the north side of Brisbane only 14kms from the Brisbane CBD, 13kms from the Brisbane Airport and 3kms from the Brisbane Entertainment Centre. Guests can also explore the delights of Brisbane, the Gold Coast and the Sunshine Coast byt using the Virginia Palms International as your accommodation base. Ideally situated the Brisbane International Hotel Virginia is within easy reach of all the major attractions that the city of Brisbane has to offer. This along with the many guest amenities such as a lounge bar, business centre, conference centre, disabled facilities, faxing facilities, free car parking, guest laundry, fitness equipment, restaurant, room service, sauna, outdoor swimming pool, tour desk, garden, 24 hour reception and daily housekeeping is what makes the Brisbane International Hotel Virginia such a great place to stay. The property's Rocklily Restaurant is one of the best a-la-carte restaurants in Brisbane offering modern Australian cuisine in a unique, inviting atmosphere. The Brisbane International Hotel Virginia is also known as Northside's premier function centre with function rooms providing first class facilities for conferences, weddings, birthday parties and engagements. 2 Bedroom Villa Apartment : Sleeps up to 5 guests on 2 Queen Beds or 1 Queen & 2 Single Beds & Rollaway Bed. Deluxe Double Hotel Room : Sleeps up to 3 guests on 1 Queen Bed & Rollaway Bed. Deluxe Single Hotel Room : Sleeps up to 2 guests on 1 Queen Bed or 2 Single Beds & Rollaway Bed. Deluxe Twin Hotel Room : Sleeps up to 3 guests on 1 Queen Bed And 1 Single Bed & Rollaway Bed. Executive Double Hotel Room : Sleeps up to 3 guests on 1 Queen Bed & Rollaway Bed. Executive Single Hotel Room : Sleeps up to 2 guests on 1 Queen Bed.